The Telephone Consumer Protection Act of 1991 is one of the most broad and far reaching pieces of legislation signed with regard to the enforcing compliance regulations against telemarketing companies and other companies that may use unsolicited phone calls as part of their operations. While the act itself specifically covers the use of auto-dialers, prerecorded messages, and the display on caller ID, it has been expanded to include solicitations via faxes. More recently rulings in the 9th Circuit Court have clarified the term “Prior Express Consent”. In the case of Myers vs. Portfolio Recover Associates LLC’s appeal the court ruled “Pursuant to the FCC ruling, prior express consent is consent to call a particular telephone number in connection with a particular debt that is given before the call in question is placed.” In layman’s terms this means that a company must still obtain prior express consent to use auto-dialers, and pre-recorded messages on cell phones. The regulations and rulings to the regulations have made the environment murky at best, leaving many providers scratching their heads and waiting for some form of clarity. Not making the wrong decision can be critical for a company that provides these services because fines can start as low as $500 per calls, rapidly grow to $1,500 per call which a potential litigious environment where class action lawsuits could be forthcoming may even put companies out of business. Limit the calls to the period between 8 A.M. and 9 P.M. Maintain a “do not call list” and honor any request to not be called again. When such a request is received, the requester may not be called again on behalf of the business for whom the solicitation is made. One error is allowed in a twelve month period. Subsequently, the soliciting companies are subject to penalties. A person’s name must be kept on the “do not call list” indefinitely. Have a clearly written policy, available to anyone upon request. Have a clearly defined training program for their personnel making the telephone solicitations. If you are a service bureau, forward all requests to be removed from a list to the company on whose behalf you are calling. 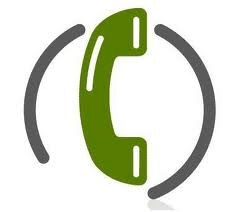 It is that company that is legally liable under the TCPA, not the service bureau. The “do not call” request must also be honored by any affiliate or subsidiary of the company if there is a reasonable expectation on the part of the consumer that there request would apply also to the affiliate or subsidiary. As of October consumers will need to have given a company unambiguous consent, having received a “clear and conspicuous disclosure” before they can be contacted using any autodialed or prerecorded calls to their cell phone. The same applies for text messages to a cell phone and prerecorded calls to a residential land line phone. The caveat of having an “established business relationship”, which in the past has been used by business to circumvent the regulation, will be eliminated. This means that regardless of a person having made a purchase with a business, they are not considered to have consented to receive solicitations unless they specifically give their permission as listed above. The shifting rules and increasingly restrictive environment in which telemarketing is being forced to operate can, and potentially will, lead to claims in the millions of dollars for violations and the shutting down of companies that are not aware and hence outside of compliance. On August 15th attorney David Kaminiski will be providing an in-depth review of the changes, interpretations of consent, and other changes implemented by the Federal Communications Commission (FCC) through a webinar. Stay tuned for more details.